Home › Home and Kitchen › Best Silverware Kitchen Drawer Organizer -Expendable Bamboo Tray With Adjusta..
Best Silverware Kitchen Drawer Organizer -Expendable Bamboo Tray With Adjusta.. 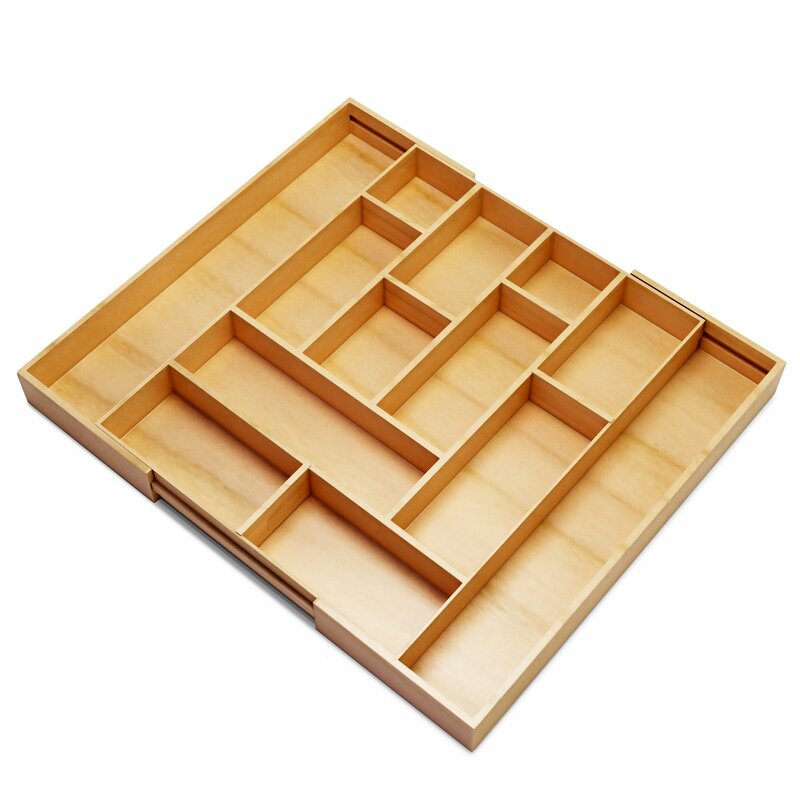 DURABLE AND EASY TO CLEAN No more chipped plastic drawer organizers that fall apart; wooden bamboo lasts a lifetime! WORKS IN THE BATHROOM, OFFICE & GARAGE TOO! Not just for the kitchen! Organize your storage space . Organizer your bathroom and cosmetic supplies! Garage! Sewing room! Hobby room! Kids and office desks holders!